Autism used to be divided into “High-functioning Autism” or Asperger’s Syndrome and “Low-Functioning Autism”. Commonly these are conflated with the ability to speak and various self-care skills. Though these have since been lumped together into one diagnosis- Autism Spectrum Disorder (ASD) in the DSM-V in the United States. But people still use HFA/LFA and Asperger’s and “mild” and severe informally as descriptors. Autistic activists have been critical of this distinction long before the “merger” of autism labels. No matter how well-meaning, they are frequently used against us- too high or low functioning for this or that service, based on shallow observations and assumptions, this person’s life is easy, this person’s life is hard, this person’s experiences are a valid representation of autism, this person’s aren’t. It isn’t flattering to be told “you’re doing well for someone with autism “. I want to be doing well *for me* relative to my abilities, skills, effort and what makes me happy- which might not fit other people’s ideas of success, but look at our society- I suppose Donald Trump is considered “successful”. At the same time, I understand the need to communicate what sorts of skills and abilities an autistic person has. But in fact, moving away from functioning labels may actually be helpful in getting people to better understand autism and all the ways it can manifest. To be honest, I don’t think there is actually a good way of “replacing” functioning labels with something more accurate and less ableist. It’s a lot more qualitative- someone’s ability to do a particular task well often depends on what else is going on- sensory input, interactions with other people, disruptions or lack thereof in expected schedules and plans. Heck, this is the case for most human beings, autistic people are just more easily affected by these things. The best shorthand descriptor is I (or my child/student etc.) need X type of support, accommodation etc. What I find difficult is that many people only seem to understand- or even legally allow, or portion out needed funding for an accommodation if it is necessary *all the time*, when many of them are for me pretty situational. “That’s not an accommodation- that’s just a preference”. Sometimes getting my preference can mean the difference between a job well done and a job done at the bare minimum. It’s not always this petty thing, like being allowed to decorate my cubicle or not. I can go to work and do Task X at Pace Y, but then you throw in an office party, and I may need a break between that and doing regularly expected Task X in order to do it competently. I may get permission to skip the office party, but skipping every office party may result in some unforseen social consequence, because Everyone Was Told X Thing at the Party, um hello, duh? Policy change, competition announcement, co-worker wondering why I didn’t congratulate him/her on the birth of their new child. Or just the general perception that I am not a “team player”. Explicit communication please! I’ve been posting lots of disability-related news on my Facebook, time to share them here! 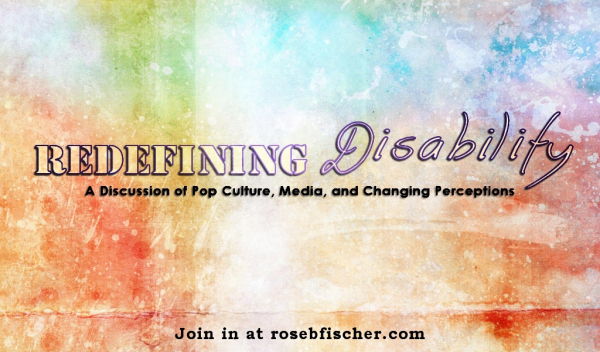 The Disability Community’s Bechdel Test– Cast disabled actors whenever possible and tell better stories (Note: comparison to the “Bechdel test” is kind of a misnomer) Still, read it anyway. Dear Disabled Person, We’re Sorry but You’re a Real Inconvenience, Signed (Insert Conference Name Here) A post from last year, but still just as relevant. I’ve often noticed people running events think of accessibility in various forms as an extra, an add-on, like a luxury. When it determines whether someone can come to the event at all, or fully participate, clearly it’s not a luxury! It’s a basic necessity. Though I imagine there are probably ways we can always improve, I think it made a big difference in planning BECAUSE- Bisexual Empowerment Conference, A Uniting Supportive Experience last year that we had multiple people with different types of disabilities & medical conditions both on the planning committee and on the board- Deaf, learning disabled, psychiatric/mental ill folks, chronically ill folks, folks with various type of mobility needs, food allergies etc. I *am* in support of euthanasia as an option in extreme circumstances- such as being towards the end of a terminal illness. However with current situations, both in Britain, the U.S., Canada and pretty much everywhere we need to focus on creating a society in which *life is worth living* for everyone. I think we also need to build more intentional, inter-generational communities- biological nuclear families are only one option. Putting supports in place for independent living is important, but *interdependent living* is I think even more key. My new blog- Way of the Sacred Fool begins! Hey folks- my first post on the Witches & Pagans website is now live! It’s called Way of the Sacred Fool- it’s an exploration of disability & neurodivergent spirituality. I will be continuing this blog, but my writing about spiritual dimensions of disability will be there. The W & P folks prefer exclusive content, so I will be linking the posts to this blog. If you don’t already have one, create an account on Pagansquare and you can comment on my blog. (They won’t spam you I promise!) I welcome thoughts from people of any belief system, so long as they are Pagan-friendly. I’m feeling a bit of synchronicity as it seems I keep seeing writing on related themes- like Were Hildegard’s Visions Caused by Migraines? Went to the May Day festival in Minneapolis, tabled for the Bisexual Organizing Project, had fun handing out Bi Pride/Ally stickers. Entertained myself by talking with the MRA (men’s rights activists) in the booth next to us. (Hey, even if I disagree with them, there wasn’t anything in their agenda that was anti-bi or anti-GLBTQ) I think I mostly confused them! Have started a NeuroQueer Facebook group for the Upper Midwest– If you are not on Facebook but want to be connected, please e-mail me at caelesti AT gmail dot com. We’ll be planning workshops for next year’s BECAUSE and hopefully other GLBTQ and disability conferences and events. Going to the Northern Dawn Covenant of the Goddess Beltaine ritual on the 9th. Scheduled my driver’s test for the 12th! Wish me luck! There is an ADF Upper Midwest retreat in June, which I need to register for- I managed to convince Dan to come along! I tried being a socialist in college, a Trotskyist to be specific. When I lobbied or voted or did anything that was part of “the System” they sneered at me and told me it wouldn’t work. And sometimes it didn’t. But sometimes it did. Progress was made. Sometimes it was lost. When I was working at Macy’s, I knew my co-workers weren’t wistfully waiting for the Glorious Proletarian Revolution. They were waiting for better wages, health care, paid sick time, child care. Fresh food that they could afford in their neighborhood. Sometimes, yes the anti-capitalists put on their suits and lobby for those things, or simply create grassroots solutions, like raising money to hand out food to people. Great awesome. But oftentimes they are too busy yelling that socialists in suits that have “sold out”. Anarchists and Socialists are all about ideology and no practical solutions. I am not naive. I struggle what to do with myself in capitalism, and I rent out rooms to low-income people who often have to choose between repairing their car, or eating or paying the rent. I know we don’t live in a sustainable system. But all John Michael Greer, Rhyd and others write is filled with despair, not practical solutions. Oh, maybe JMG has a bunch of suggestions about how to be a Perfect Eco-Homesteader Survivalist, I don’t know. But I’m trying to *recover from depression* (that was yes, somewhat related to trying to find a place in “The System”) but reading stuff that rages against it with no redemption- wow why don’t I just join a Doomsday cult? I also personally know both homeless people & wealthy people- so neither one is to me an Evil Other. Among Pagans, I have not found any help or support in finding employment. Just a bohemian version of a ghetto/victim mentality. Same with left-wing groups I have worked with. There’s always someone else with a better resume they can hire. Whenever I see any Pagans managing to be financially successful, or get a building or anything off the ground, everyone else gets mad and tries to tear them down. Oh no, you’ve sold out to the patriarchy/Christians/capitalists etc. Well look, I am going to go out there and find decent work, and then I am going to help my fellow autistics and other disabled folk find it too. Because guess what? Being a eco-doom blogger does not pay us anything! I might even commit the horrible selfish crime of having a baby! Because no true activist or spirit-worker could ever do that! Totally fine if you don’t want kids, but I feel like others think I’m selfish and don’t care about Mother Nature if I do. The Pagan movement will die from lack of support for its own and infighting. If anyone wants to join me, I’ll be with the Unitarians. Not that they are perfect but at least they aren’t a Doomsday cult. I am still a socialist at heart and I’m still a Pagan and a polytheist but I will be looking to work with people who will get things done in the near future- regardless of their ideology or religion or lack thereof. I’m not waiting for your damn revolution.